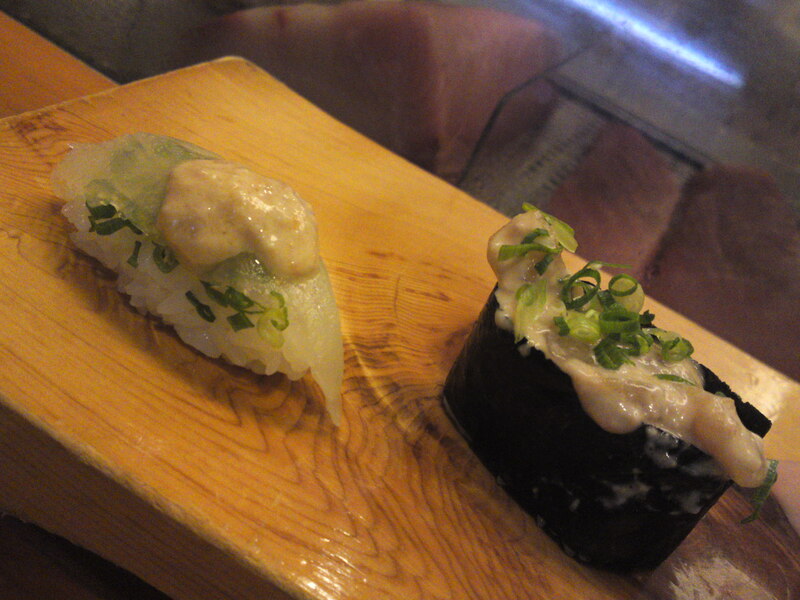 Sushi: Kawahagi-Filefish Sashimi & Sushi at Sushi Ko in Shizuoka City! Strong points: Great use of local seafood. Will try hard to accommodate any requests! 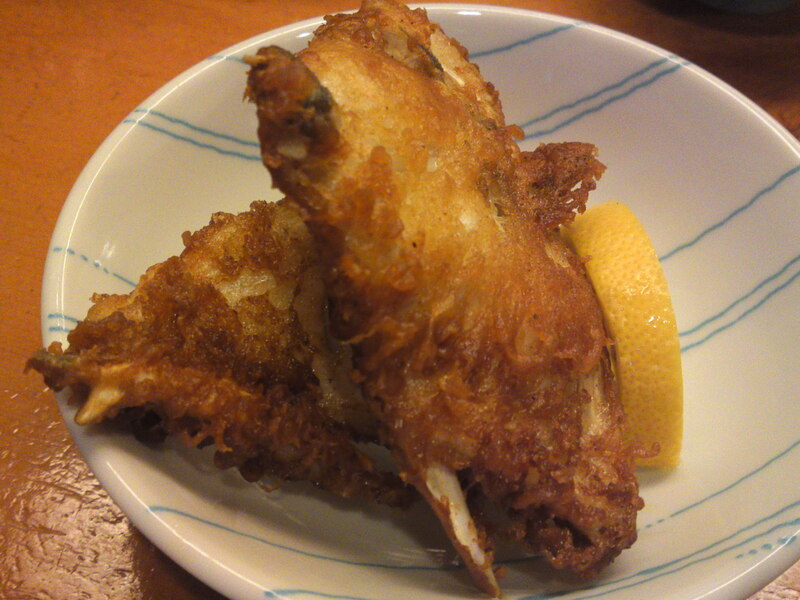 Kawahagi, or Filefish or Leather jacket in the Land of Oz, must be one of the most underrated fish in the World! 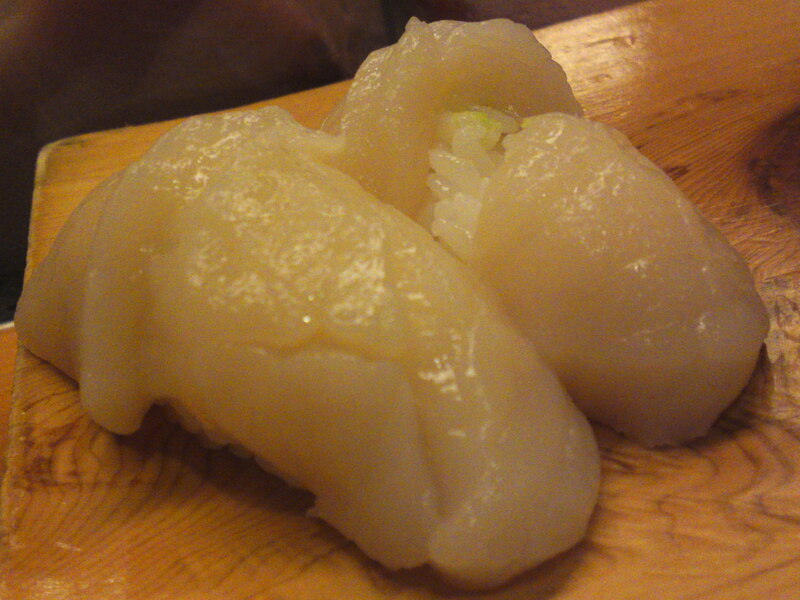 Some people go as far as to say that penny for penny it is worth more than overpriced globefish/fugu! 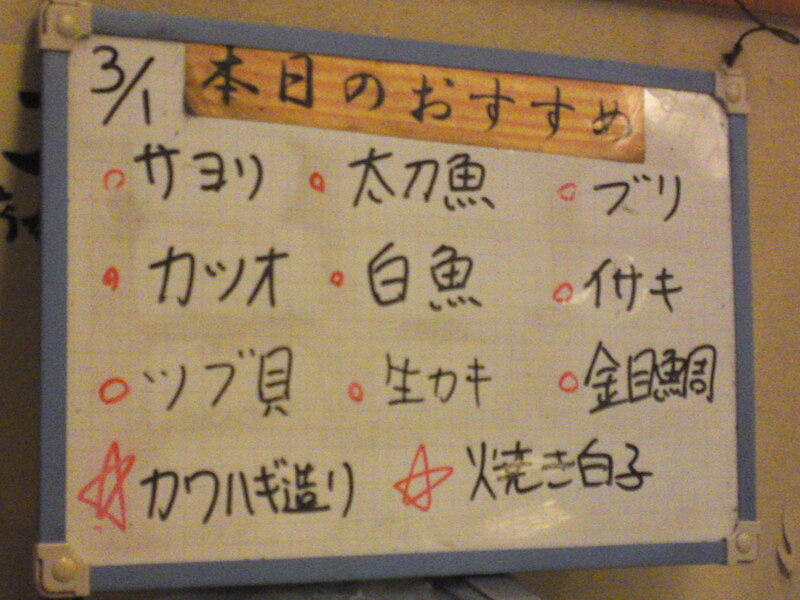 As we sat at Sushi Ko, our favorite Sushi Restaurant in Shizuoka City we noticed “Kawahagi Tsukuri”/カワハギ造り/Filefish sashimi Plate written on the small board featuring the “specials” of the day! 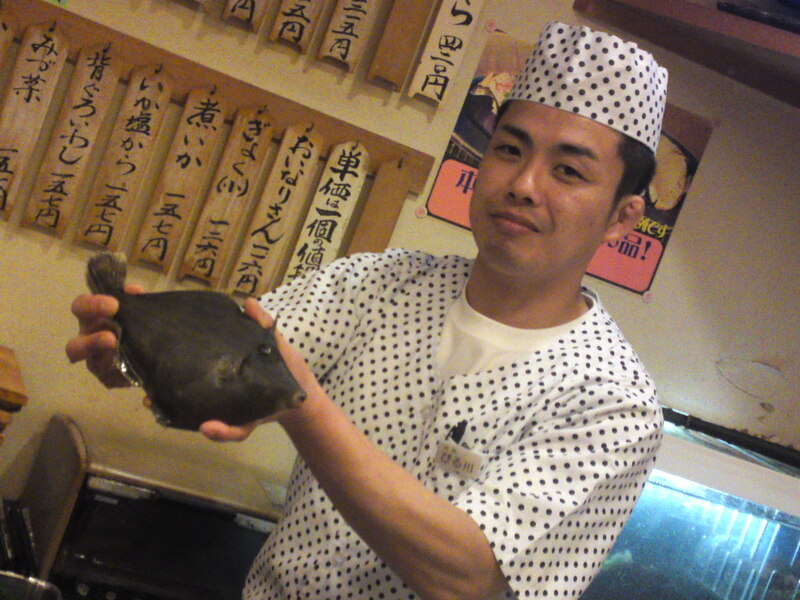 The live filefish taken out of the tank by the chef! 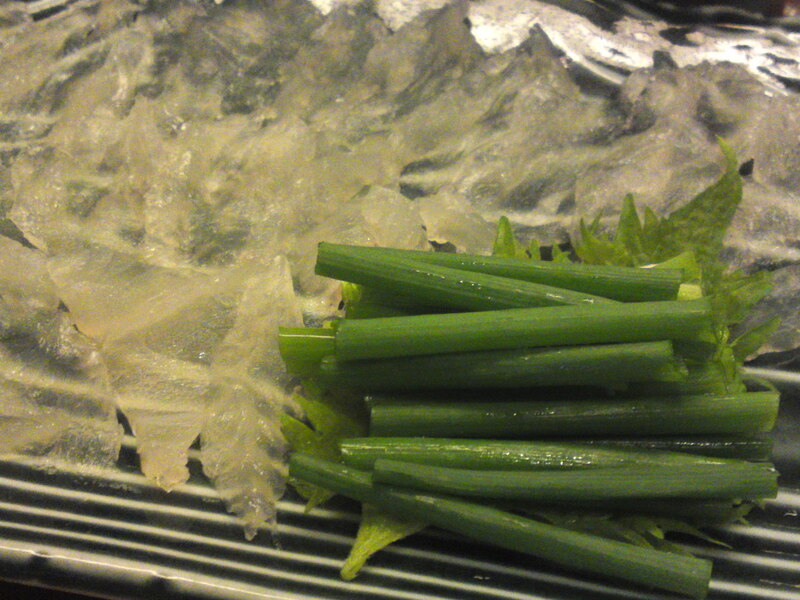 The fish had been caught off Sagara in Shizuoka Prefecture! Sushi Ko has a great list of local sake, but I had to order one from Masu Ichi Brewery in Shizuoka City as this might well be the last bottle as the brewery closed down following the untimely death of its owner/master brewer. An incredible loss for the Shizuoka Sake World! Tuna Tartare as the snack for the first drink! 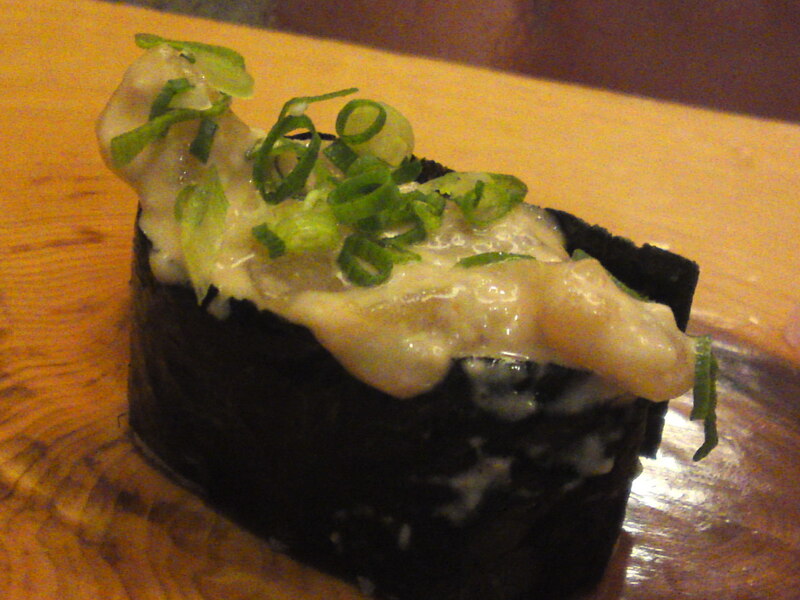 You roll the fine slices of filefish around some thin leeks before dipping it in its sauce! 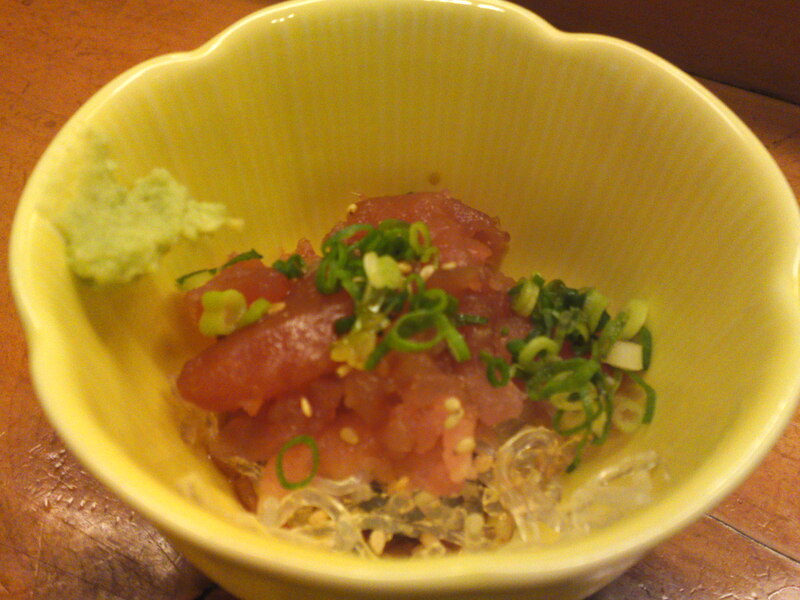 It was made with the fresh raw liver of the filefish finely chopped and mixed with ponzu! 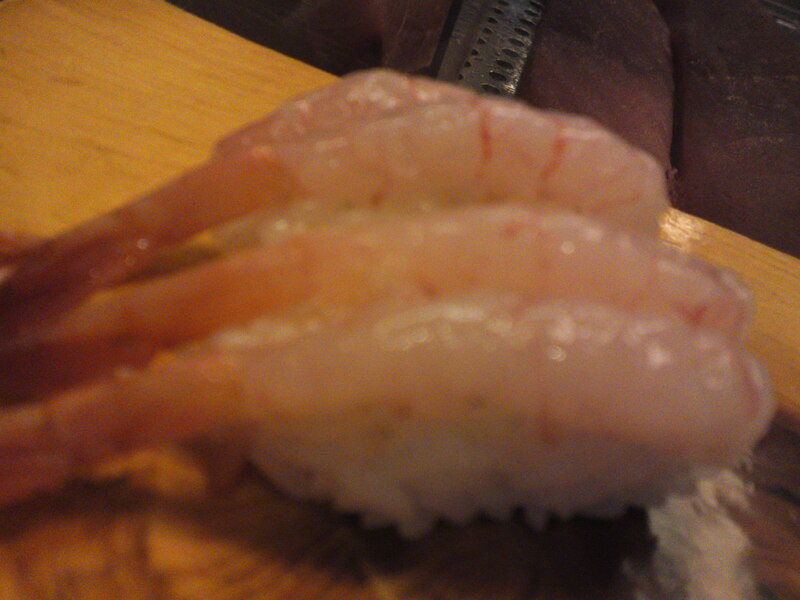 The chef had kept apart a little sashimi and liver for two more morsels! 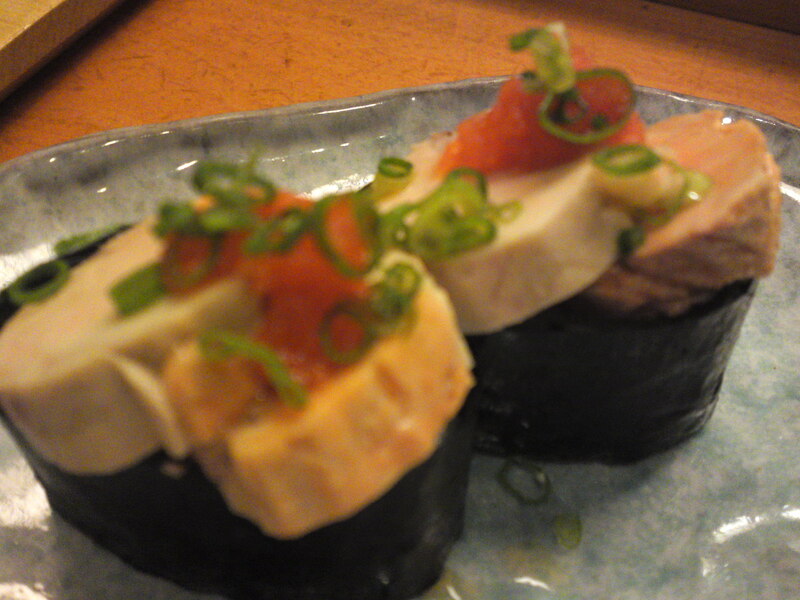 A nigiri with chopped thin leeks under the fish topped with its liver! 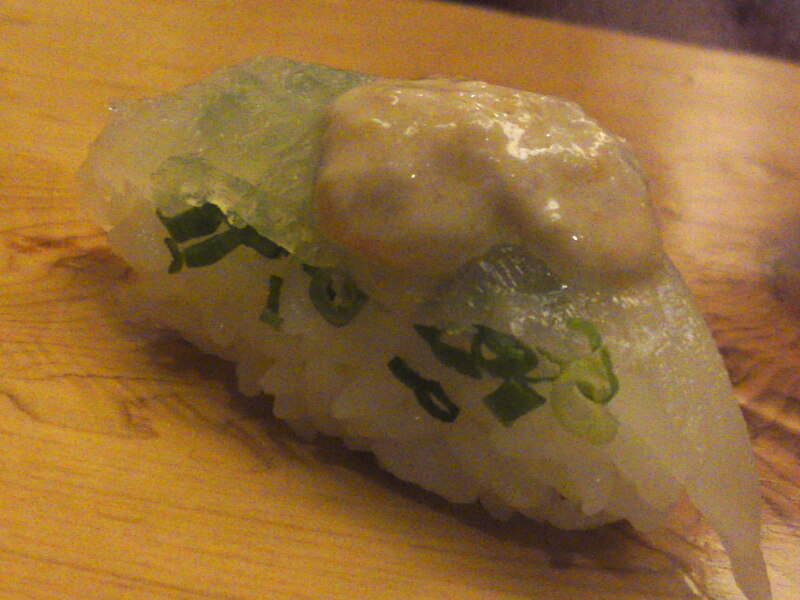 A gunkan/”mother ship” with the sashimi topped with its liver and chopped thin leeks! 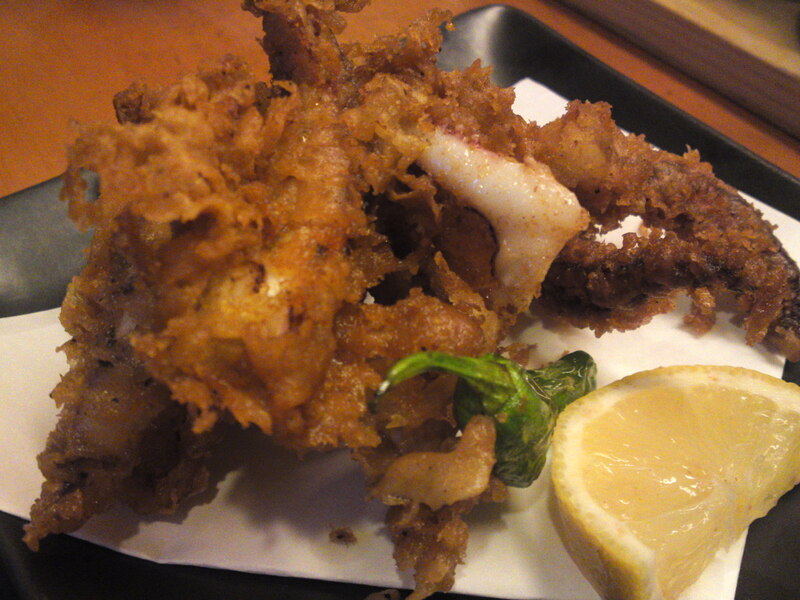 And the deep-fried jowls of the fish you eat with your fingers (that you lick later!) to cap it all! Have I convinced you to look for that fish next time you see it on a market? 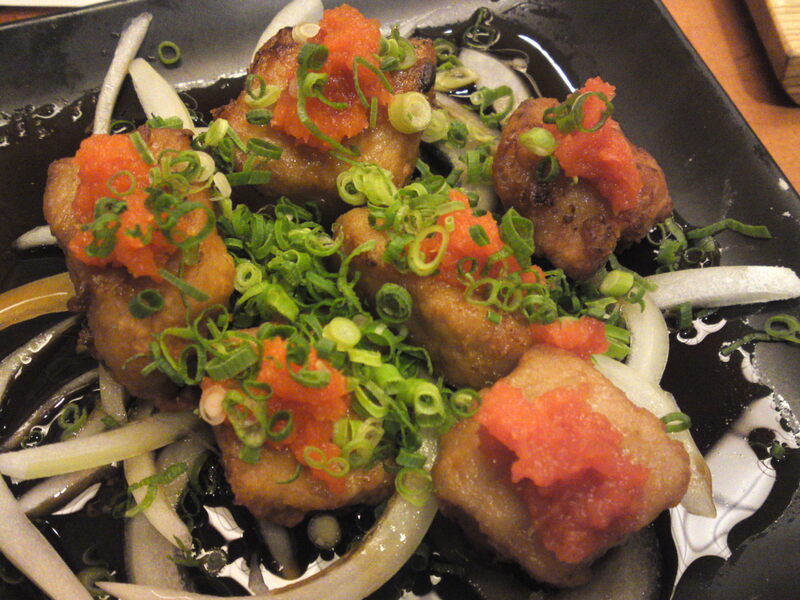 “Pon kara maguro”/deep-fried tuna cubes with grated daikon seasoned with chili pepper! 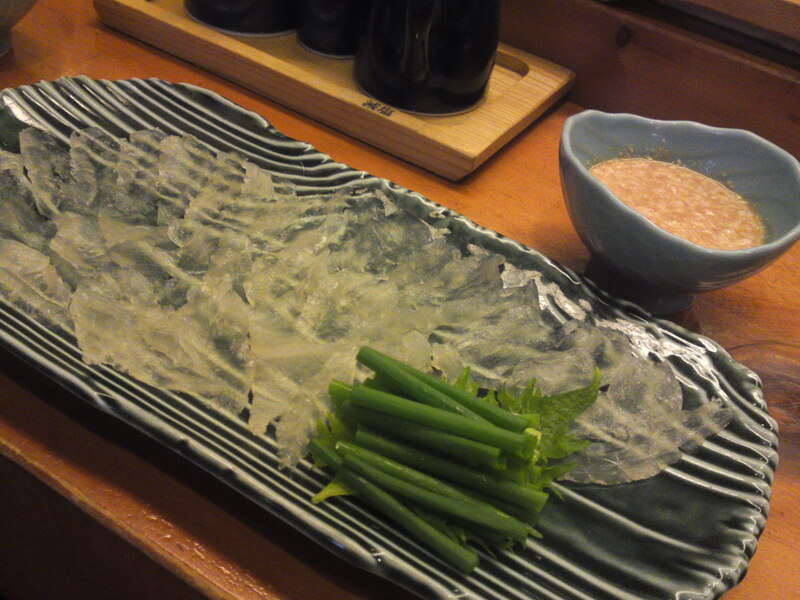 Of course the filefish was only the beginning of our dinner. So for the record here we go including the above picture! 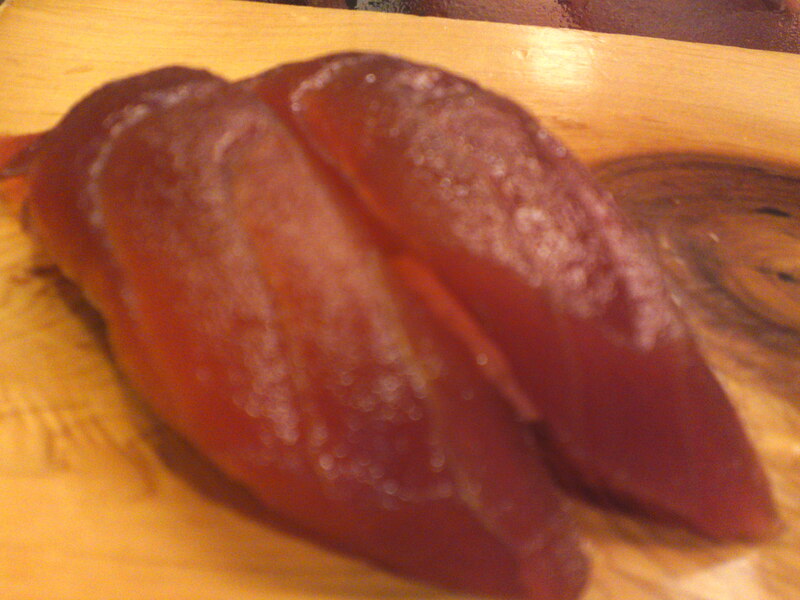 Maguro Zuke/Marinated lean part of tuna! 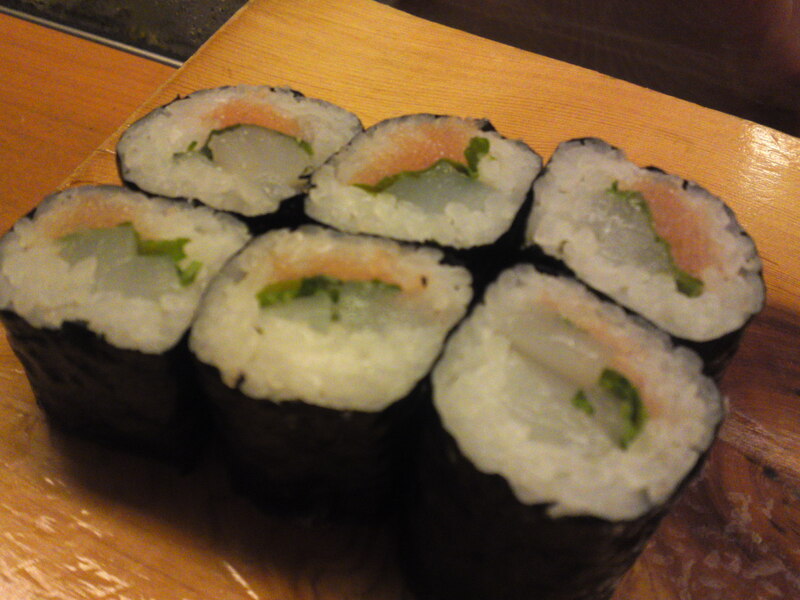 The same, to eat with your fingers! 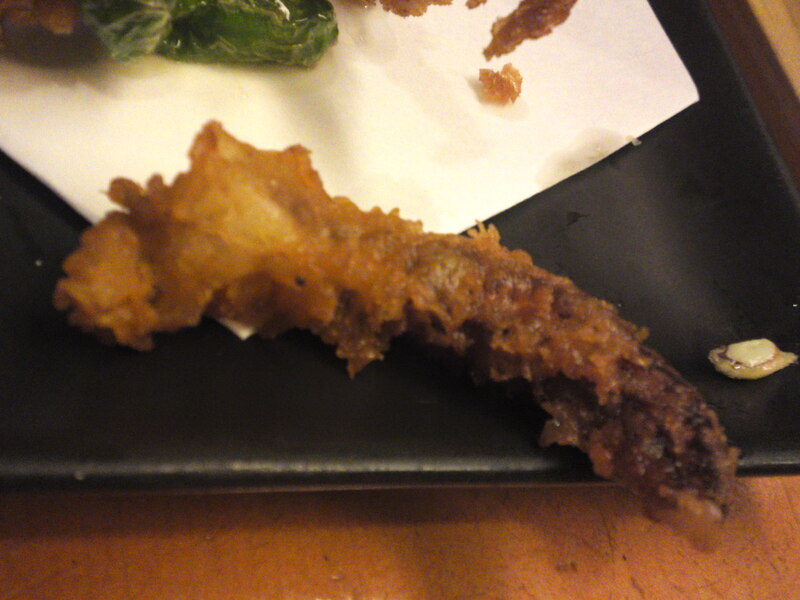 Ankimo/Frogfish liver or “Japanese foie gras”! 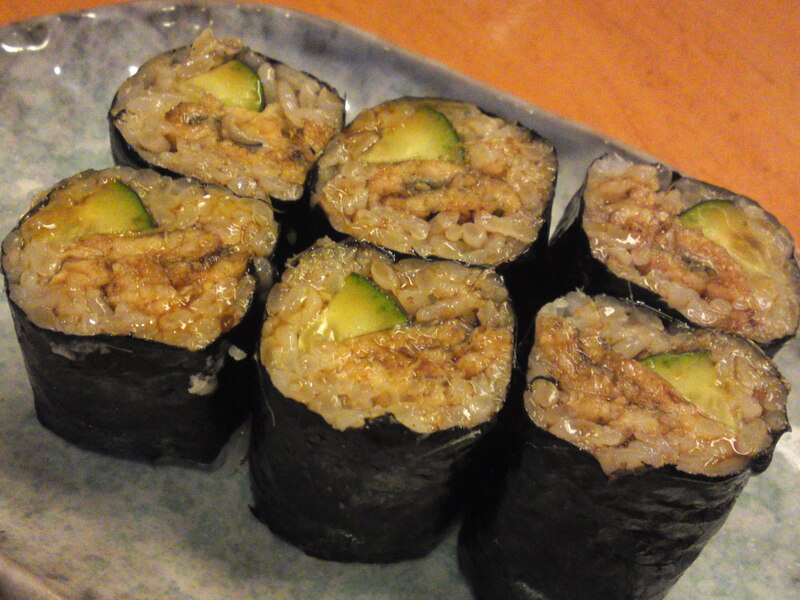 Anago to kyuri maki/Broiled Conger eel and cucumber roll! 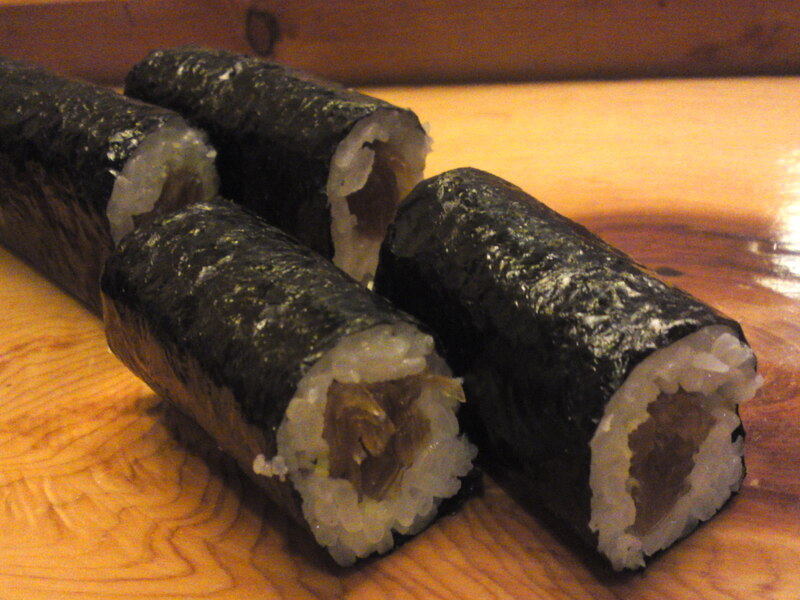 Ika shiso to mentaiko maki/Squid, perilla leaf and cod roe pickled in chili pepper roll! 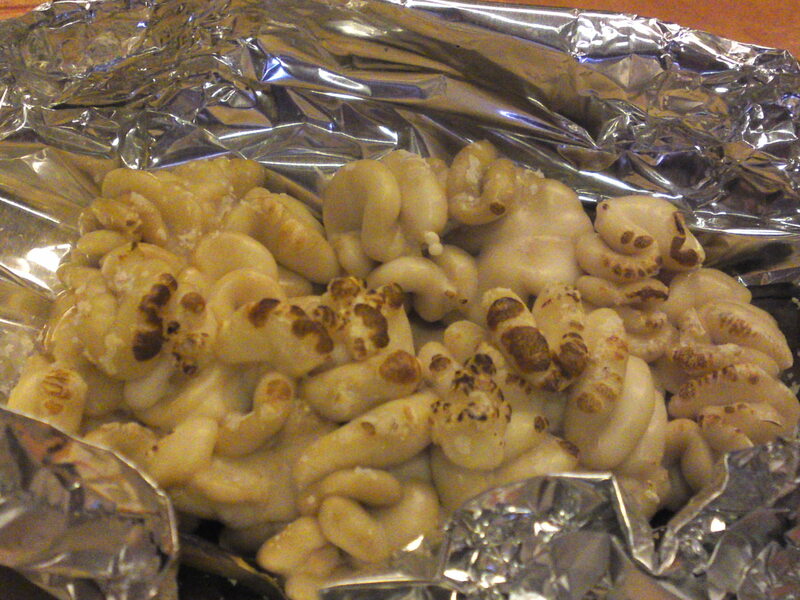 Shirako yaki/Baked cod sperm sacs! 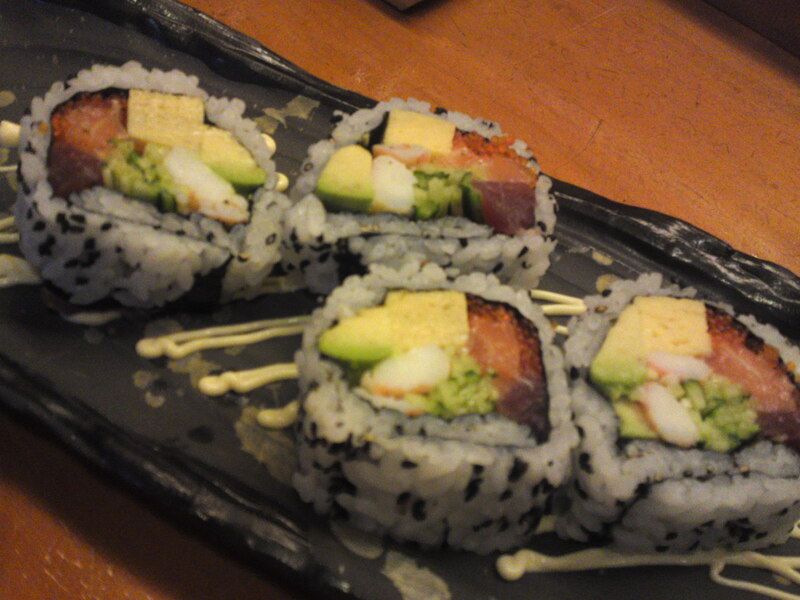 Containing: avocado, tamagoyaki/Japanese omelet, salmon, salmon roe, prawn, cucumber and akami/lean tuna! Seven of them of course! 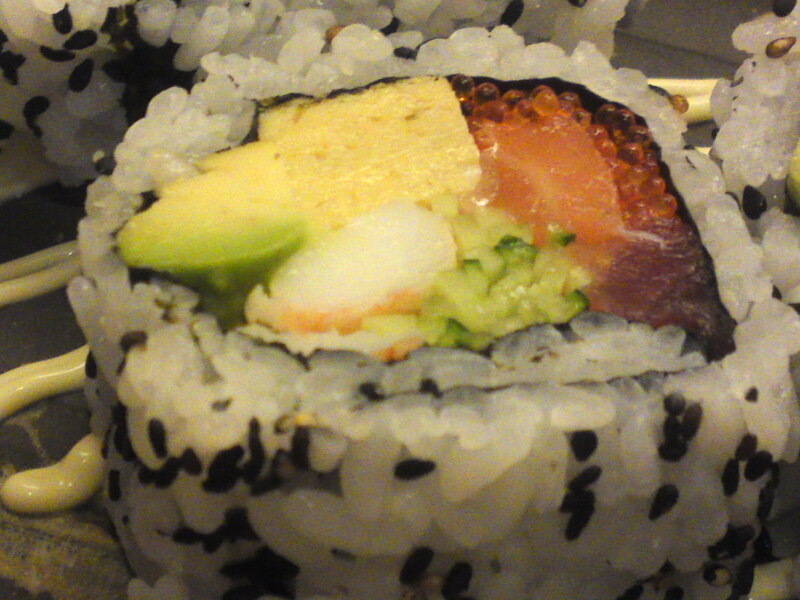 Kanpyou maki, the roll for the vegetarians and vegans! 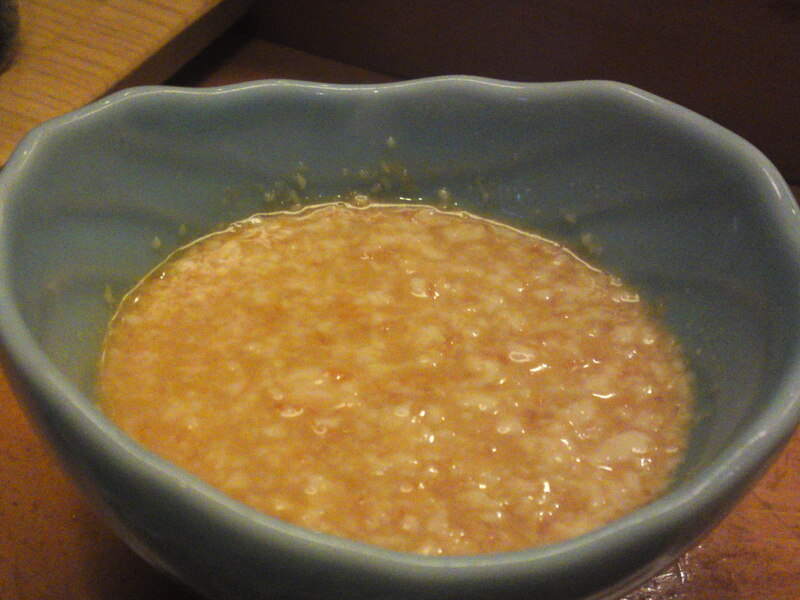 Kanpyou is made with the shavings of a gourd, first dried and then marinated in sweet sauce! 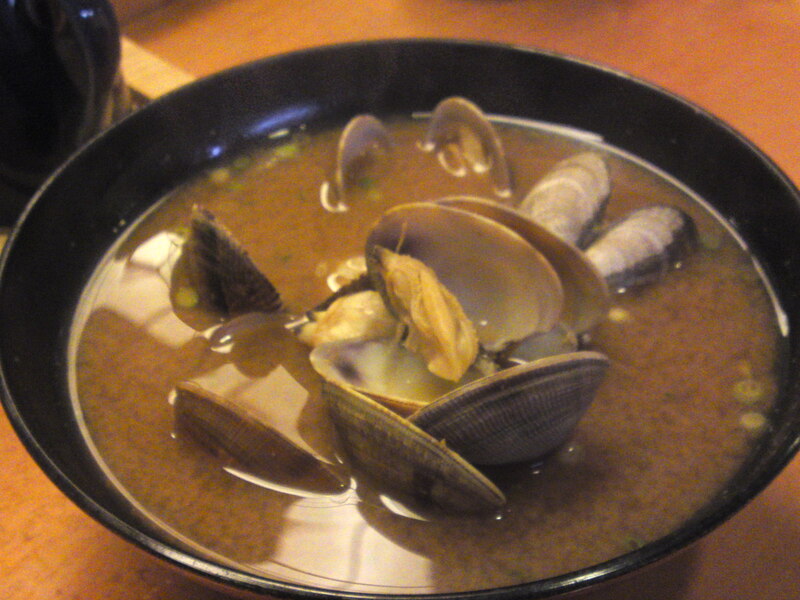 Asari miso shiru/Miso soup with cockles! Previous PostToday’s Bento/Lunch Box (12/10): Chirashizushi & Omelet Bento!Next PostJapanese Gastronomy: Sushi & Sashimi – Eat Local!